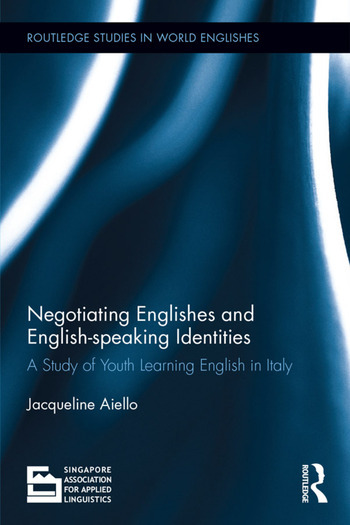 This book explores the effects of the global spread of English by reporting on a sequential explanatory mixed-methods study of the language attitudes, motivation and self-perceived English proficiency of youth in two Italian cities. Participant narratives highlight the far-reaching role that English plays on the performance and attainment of present and desired future selves, illustrate that English is understood not as singular but as plural and paradoxical, and reveal that English learners, who do not all accept the capital of ‘native’ speakers, utilize tactics to negotiate their position(s) with respect to their target language. On the one hand, by narrowing in on a specific population and drawing extensively on interview exchanges, this work provides readers with a nuanced depiction of the identities, milieu and learning experiences of English language learners in Italy. On the other hand, this level of detailed analysis gives insight into the understandings, construction of meaning and negotiations of language learners who need and want to acquire English, the global language, worldwide. Indeed, the issues and questions that are raised in this book, such as those concerning research approaches and the definitions assigned to key concepts, have profound implications on the research of English(es) today and can inform future directions in global English teaching. Jacqueline Aiello is a postdoctoral researcher at the University of Naples "L’Orientale." She earned her doctorate in TESOL from New York University in 2015. Her research has appeared in the International Journal of Bilingual Education and Bilingualism and other journals.